Growing up in a jewellery-loving family, renowned jewellery designer Shaheen Abbas’ interest in the art of fine jewellery stemmed from an early age. It was the intricacy of the workmanship, the timelessness of her family heirloom pieces and the techniques used to craft these pieces that really caught her attention. To further fuel her interest and hone her innate inclination towards the field, she took up the Graduate Diamonds Program at the Gemological Institute of America. She then pursued a course in Luxury Brand Management at ISC Paris Business School. Experimenting with colour, cut and casting, the designer’s aim is to use her jewellery to make women feel glamorous and special every single day of their lives. Abbas started her first venture in the early 2000s, working with silver jewellery when it was still a nascent concept in India. This lent itself to the launch of Shaheen Abbas Fine Jewellery where she continues to add her signature touch of edge to precious favourites like diamonds and gemstones. 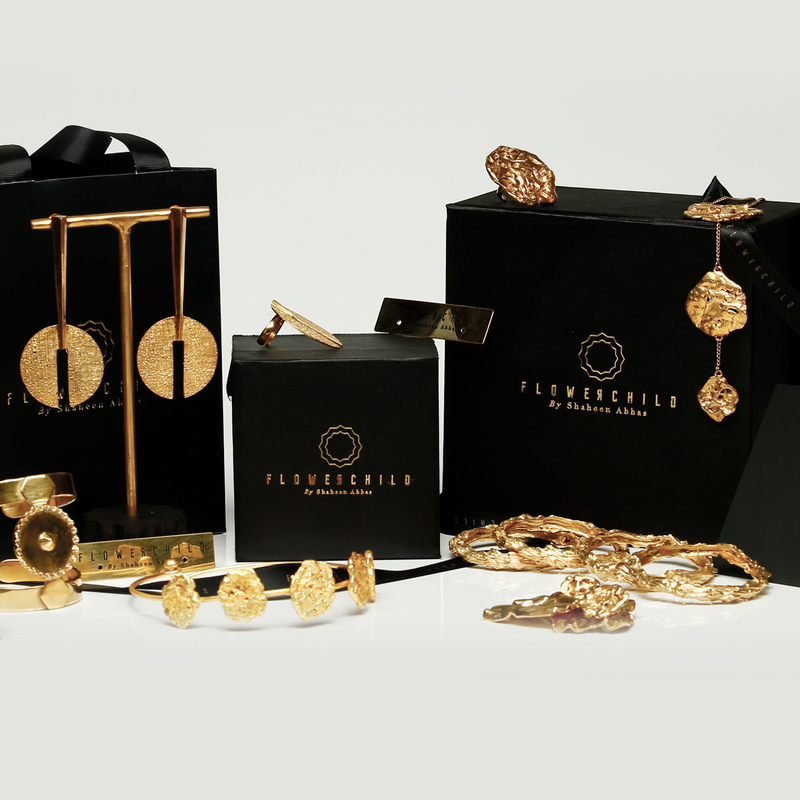 Abbas’ latest venture is Flowerchild, which brings her unconventional aesthetic to statement making fashion accessories. Think ‘flower child’ and it instantly conjures up archetypical images of hippies in the ’60s who were poster girls for love, peace, and idealistic values in times of turbulence. And while Flower Child by Shaheen Abbas dips back into the past for inspiration, our version 2.0 of the ‘flower child’ is a millennial muse who doesn’t feel the need to pick between wearing flowers in her hair or jewels around her neck, because she would rather have it all. Brazen, bold, and bright; rules, for this gutsy gal, are meant to be defied unless she’s the one making them. She’s just as comfortable calling out haters on Instagram, as she is being a card-carrying member of the modern feminist crew. with all her flaws and in all her forms. Copyright © 2017 flowerchildbyshaheen. All Rights Reserved. Powered by AM Branding Co.